For the second time in two weeks, a car has slammed into the window area of a store located in the Bradlee Shopping Center. 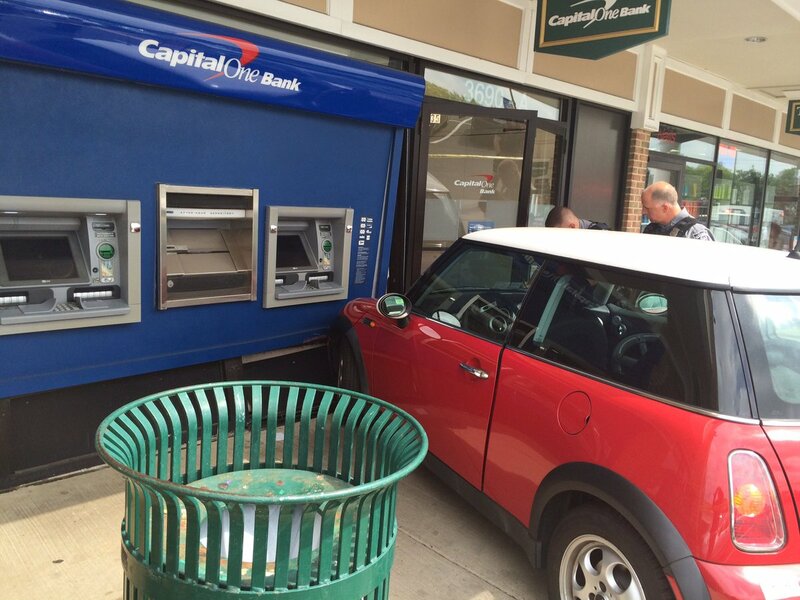 This morning, a car crashed into the Capital One Bank located in the shopping center in Alexandria, Virginia. Between the people who feel entitled to park illegally outside of the Post Office and this crap (Hallmark Store, bank, and Starbucks a while back), this place can be a diaster in the making.